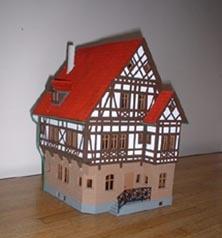 (NEW June 3, 2001) A real nice copy of a Kibri house. 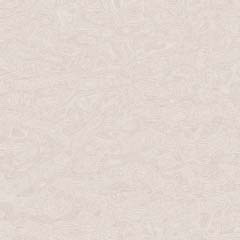 Note each stone was hand cut and placed. To be honest, this is one of my favorites. 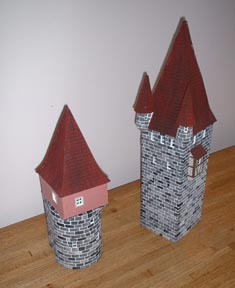 Two towers based on those in the Nürnberg city wall. Each stone was individually painted and the roofs are made from resin castings. 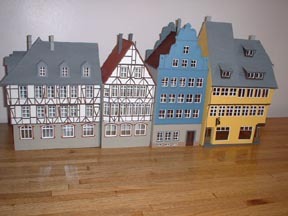 A set of mixed row houses. Needless to say, these took quite some time to build.